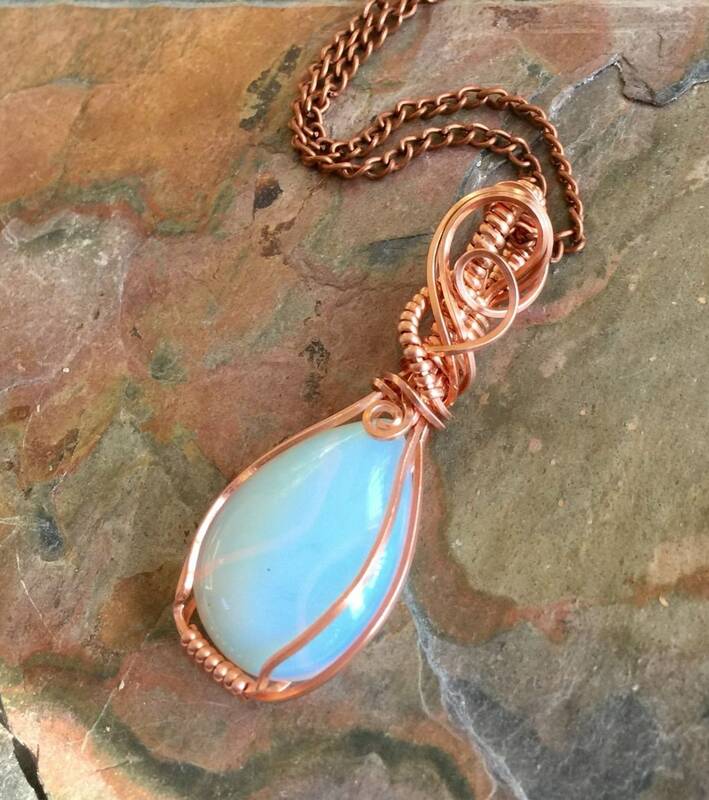 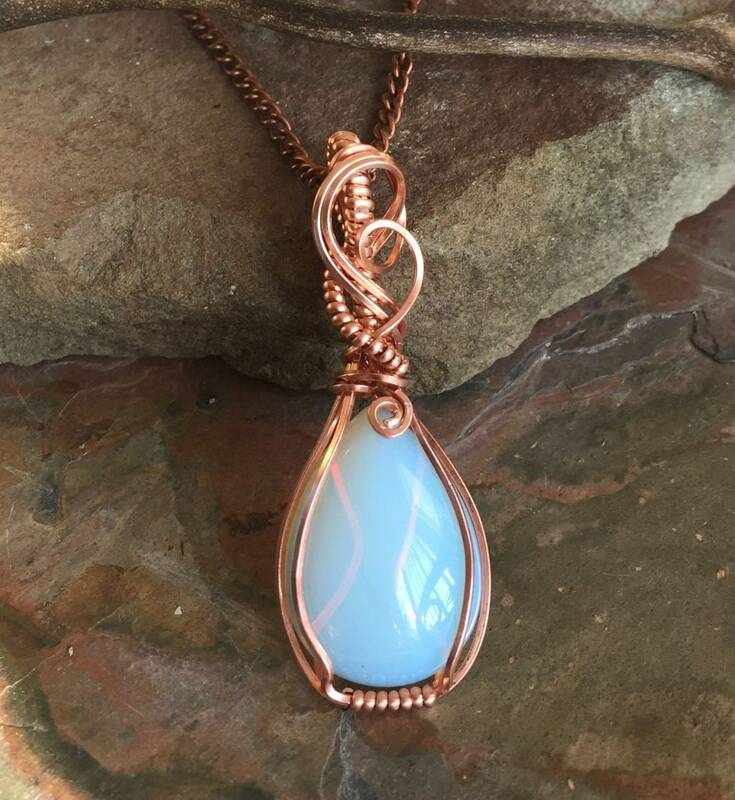 Beautiful teardrop shape Blue Opalite Pendant is wire wrapped in natural copper wires. 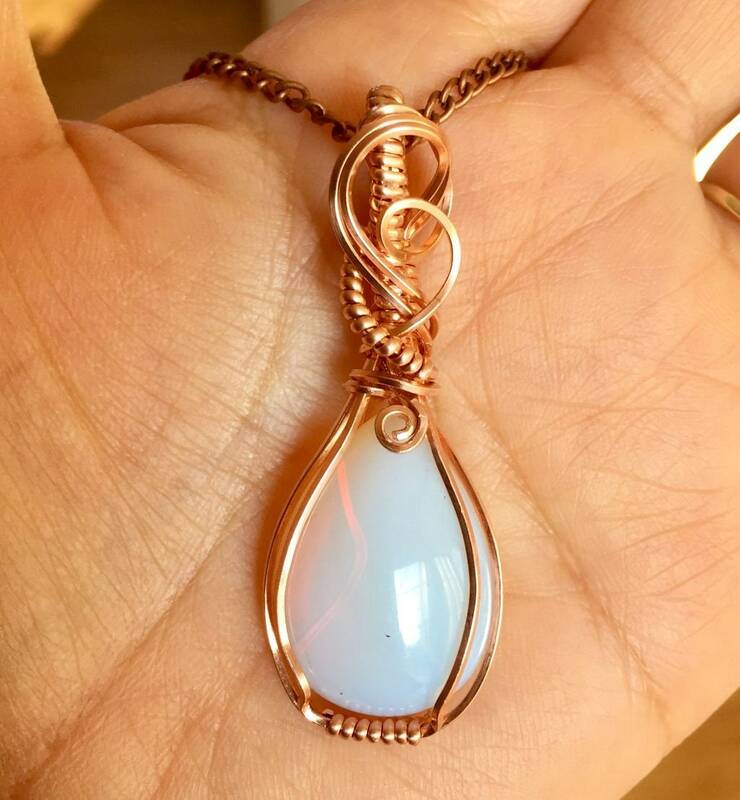 The pendant measures 2.10 inch x .70 inch in size(top of the bail to bottom of the pendant). 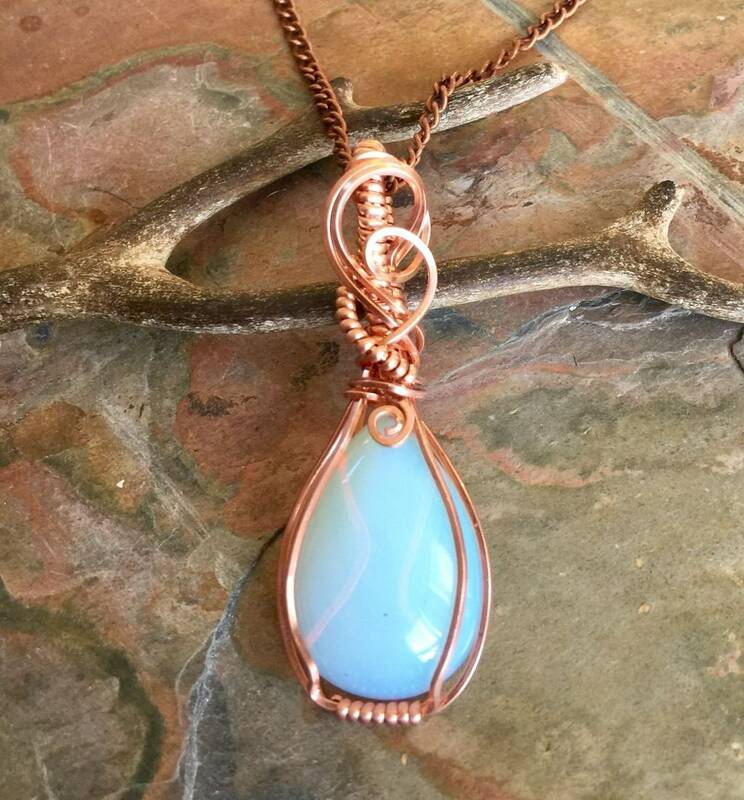 It comes on a antiqued copper chain.